Tired of the Glen Burn Lodge? 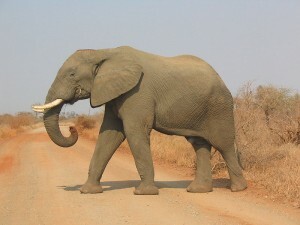 Perhaps try South Africa’s best known game reserve: the Kruger National Park. The park is one of the largest in the world, and is renowned for its accessibility, the quality of the game viewing experience, the hospitality of the locals, and the quality of the various forms of accommodation. Moreover, a trip to the Kruger is more affordable than bank repossessed houses! The area of the park is roughly 19 500 square kilometres, the length of the park from north to south is 360km and the average width is 65km. The Kruger is situated in the north-eastern parts of South Africa, and borders with Zimbabwe to the north and Mozambique to the east. To the south of the park is the Mpumalanga Province and to its west is the Limpopo Province. The contemporary park has been incorporated into the Great Limpopo Transfrontier Park. A transfrontier park is a conservation area that transcends national borders: this implies that the governments of the countries involved have to agree to dissemble border fences to allow for the free movement of animals between national territories. The three nations involved in the Great Limpopo Transfrontier Park include South Africa, Mozambique and Zimbabwe, and the parks incorporated into the project are: the Kruger National Park, the Gonarezhou National Park, and the Limpopo National Park in Mozambique. The Transfrontier Park, notably, has been identified as an area that falls within UNESCO’s Kruger to Canyons Biosphere, and the northern section of the park has similarly been included in the Vhembe Biosphere Reserve, a reserve that incorporates the Blouberg Range, the Makgabeng Plateau, the Makuleke Wetlands, the Mapungubwe Cultural Landscape and the Soutpansberg. The history of the Kruger National Park dates back over a century to 1895 when Jakob Louis van Wyk proposed that the Sabi Game Reserve be established to control the rampant hunting that was occurring in the area. In 1898, just before the Second Anglo-Boer War, Transvaal Republic President, Paul Kruger, proclaimed that a Government Wildlife Park will be established. In 1926 the Sabi Reserve became the Kruger National Park by incorporating surrounding farms and the Shingwedzi Reserve, thereby increasing its size by almost 300%. The popularity of the park began in earnest when tourists were exposed to the advantages of conserving the natural environment and its inhabitants: the South African Railways held “Round Nine” tours that travelled through the park en route to the Mozambique border. The train carrying tourists included an overnight stop at Skukuza which in turn included a short walk into the wild. This stop proved enormously popular and although safari tours had been popular since colonial times, the interest generated by the tour could perhaps be seen as the genesis of eco-tourism. The Outpost Lodge, near Pafuri Gate.